Anyone who has read more than a handful of our Secrets posts knows how strongly we believe that all families with newborns need and deserve help. With JenB’s new addition only days away, we've been thinking a great deal about the delicate balance between providing practical support and space for family time. We realized that, for all our rants about the importance of getting help, we hadn’t written a post on how best to get that help. In this short series, we’ll provide some tips to help you get to “the ask” (a concise and complete request for help) without sacrificing your pride or privacy. Today, we’ll share some ideas about how to ask for help effectively. Next time, we’ll help you deal with well-intentioned but misguided friends and family that manage only to make things more stressful. With all this need, asking for help can be a little intimidating. You may be wondering how you can make “the ask” something that sounds reasonable. Here are a few ideas. Don’t wait until you’re overwhelmed, exhausted, and things are out of hand. Make a plan while you’re still fully functional to keep things on track. It’s much easier to mow a lawn with only a couple weeks of growth, to clean a kitchen with only one load of dirty dishes, and to walk a dog that has been outside every day. Our closest friends and family are wonderful sources of support and we feel comfortable leaning on those we love. But, before we ask for their help, we need to think hard about their lives and other responsibilities. Divide your requests among as many people as is practical, matching each request to the appropriate amount of time and effort that makes sense for each person. If you’re lucky enough to have a relative who can take off work and visit you, they can take on a lot of tasks but they’ll need a break once in awhile. Your busy friends can bring over a meal or drop off some groceries they picked up when they were shopping for themselves. Your neighbor can walk your dog or mow the lawn. Whenever you need others to pitch in to help, it is always best to be very specific about what you need. When someone offers to help, instead of asking for “help with meals,” ask for “something simple for dinner on Wednesday.” Tasks seem a lot more reasonable when they are clearly described. If you are fortunate enough to have many offers of help (and we certainly hope you do! ), you’ll want to keep tasks and helpers organized so that you don’t end up with redundancies, confusion, or way too much food! You can easily make a grid on paper or in a spreadsheet with chores/tasks down the side and days of the week across the top. You can use the list above to get you started. Let friends and family sign up themselves or get one of them to organize the group for you. I know that asking for help can be tough but you’ll find that even a few tasks taken off your list can make a big difference. You’ll find that most people will want to help. Many of your loved ones understand how exhausting those first weeks are and they’ll want to make things easier for you, if not for the joy of giving, then maybe because they know you’ll “owe them one” when it is their turn. Answers to our November Quiz! 1. What is the typical newborn’s heart rate? 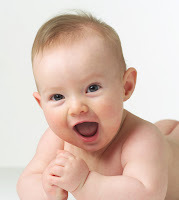 Babies’ heart rates are typically around 100-160 beats per minute which is much faster than most adults. 2. What does APGAR stand for? In the early 1950s, Dr. Virginia Apgar created a scoring system to be used to assess the effect of obstetric anesthesia on newborns in the first few minutes of life. The doctor created an easy way to remember the different parts of the assessment using the letters of her own name. 3. How big around is the average newborn’s head? The average is 33-38 cm, or about 14 inches at the widest part. 4. Which mammal produces the largest babies? The blue whale. The calf weighs about 2.5 metric tons (5,512 lbs) and is around 7 meters (23 ft) in length. Blue whale calves drink 380–570 liters (100–150 gallons) of milk a day. 5. What is the typical newborn’s body temperature? In a study of 203 healthy full-term infants, the mean birth temperature was 36.5 degrees C (97.7 degrees F). The babies’ average temperature increased with age, rising to 36.7 degrees C (98.1 degrees F) by 2-3 hours after birth and to 36.8 degrees C (98.2 degrees F) by 15-20 hours after birth. Next time: Getting the help you need! All of us here at the UC Davis Human Lactation Center wish you a very happy and restful Thanksgiving. It's time for another baby quiz! Today, we're focusing on newborns. Let us know your guesses by leaving a comment. We'll post the answers on Friday. 1. What is a typical newborn's heart rate? How many beats per minute? 2. A common assessment for newborns generates an "APGAR" score. What does APGAR stand for? 3. What is the average head circumference for newborns? 4. Which mammal produces the largest newborn babies? 5. What is the average newborns' body temperature? The Human Lactation Center is growing! I am just a few weeks away from having my second baby, another little girl, which, for those of you who are counting, will make 4 Human Lactation Center children under 4 years old and 2 over the age of 20 (5 girls, 1 boy). Because we started this blog just last year, writing about our personal experiences with our newborns has been reflective. Here are some examples: Jen G has written about her experience as a Sleep Deprived Mom and provided Tips for Surviving Sleep Deprivation, and about her Not-so-perfect start to breastfeeding and Breastfeeding after a C-Section. Jane has described what it was like Bringing Home Baby #2 and to be a New Mom with No Mom and I have shared my experience with Premature Labor and Life with a Hospitalized Infant. Although all of these posts provided personal information about our experiences, they were all written long after our children were born. Since this is the first baby to be born since we started this blog, we thought we’d try something new. I am going to write about my newborn baby's behavior as it happens. Here's how we imagine it working. After my daughter is born, I will take notes about her behavior (sleeping, crying, cues, etc) and how my husband and I interact with her. Because our experience with our first child was unusual (she was born 15 weeks early and was hospitalized for nearly 3 months; see links above) this will be our first experience bringing our newborn home from the hospital. So, when I can spare a minute or two, I'll share my experiences and observations with you. Notice I am using the words "imagine" and "the plan" - because we haven't done anything like this before and it might not turn out exactly like we think it will. It will be an experiment! We are hoping this series of posts will provide a new viewpoint for our readers and I think it may even spark some ideas for future posts. So, I"m "signing off" for a little while but will look forward to "seeing" you all soon. Next Time: Another Baby Quiz! Last week, a paper called “Infant Feeding Methods and Maternal Sleep and Daytime Functioning” by H.E. Montgomery-Downs and colleagues was published online by the medical journal Pediatrics (www.pediatrics.org). Its surprising findings showed up in newspapers, online news sites, on TV, and in blogs. The purpose of the study was to find out if there were differences in sleep patterns and experience among moms who were exclusively breastfeeding, mixed feeding with both breast milk and formula or only formula feeding. Even though many moms believe that breastfeeding leads to less sleep, the researchers found no difference in sleep experience among the groups, no matter how they measured it. The study included results from 80 moms who had been studied when their babies were between 2- and 16-weeks old. The mothers were asked about how tired they felt, how long they slept, and how many times they thought they woke up. The researchers also asked the moms to wear a watch-like “actigraph” on their wrists that measured movements so that they would have a more objective measure of how many times moms were waking at night. Using all of these different ways to measure moms’ sleep, the researchers did not find any differences even though many people believe that giving formula makes babies sleep more. This is not the first study showing little or no difference in infant sleep despite how babies are fed. All of the moms were tired during those first few weeks and things got better as their babies got older. That’s probably no surprise to Secrets readers. What’s important about this study is that it challenges a common myth; a formula-fed baby does not necessarily sleep more and wake less than a breastfed baby. Differences in babies’ sleep (we know that some babies sleep more and others sleep a lot less) are more likely to be related to differences in babies and rather than to differences in how they are fed. What does all this mean to you? It means that 1) babies’ waking is part of new parents’ lives, that’s why parents need help and 2) switching to formula won’t necessarily help parents of newborns sleep longer. We know that Secrets readers have many reasons for their feeding and childcare decisions. We hope that our blog can help you keep up to date with latest baby behavior research. Welcome to the final post in the Back to Basics series. In this series, we’ve been re-posting the original Basics of Baby Behavior series, our first set of entries when this blog was started back in July 2009. Along with the original posts, we’re adding links to what we’ve learned about infant behavior over the last year and a half. Parts 1, 2 and 3 in this series looked at Reasons Why Babies Don’t Sleep Through the Night, The Many Moods of Babies, and Understanding Baby "Language." Babies can communicate with you from the moment they are born. Instinctively, they use their ultimate “super power;” CRYING, to make sure their needs are met. Today’s post links back to: Crying: Your Baby’s Super Power. In this post, we explain that even though crying can be very hard for new parents (or anyone for that matter) to deal with, babies' ability to cry is actually a wonderful talent. We also provide a list of reasons that babies cry (not just because of hunger), some information that can be used to prevent some crying (reading infant cues), and ways to calm a crying baby (repetition, repetition, repetition). Because babies love repetition (see our last post), routines can help babies feel calm and secure. In a post titled Repetition in Baby's Daily Life: The Power of Routines we explain the difference between routines and schedules, why babies react so well to routines, and the benefits of routines for both caregivers and babies. In another, more recent post, titled Music to Moms' Ears, we present research about how music can be used to calm both moms and babies. Slings are another tool that caregivers may find useful when dealing with a crying baby and earlier this year, we discussed both the Good and the Bad about slings in a 2-part series. Although we explain in the Crying: Your Baby's Super Power post that babies cry whenever they feel uncomfortable or distressed, we know, from personal experience and from reviewing the literature, that some babies cry more than others. In What's the Difference between Crying and Colic, we describe the definition of colic and why many experts now prefer the term Persistent Crying, how long persistent crying typically lasts, and a list of causes. In the following post, we provided Tips for Coping with Persisitent Infant Crying. We hope this series has been useful to our new readers and look forward to hearing your comments and ideas for future posts! Next Time: We'll take a look at some recent research you may have seen in the news. Back to Basics Part 3: Understanding Baby "Language"
Welcome back! Today is part 3 in a series that takes us back to the basics of Baby Behavior. Part 1 explained the Reasons Why Babies Don’t Sleep through Night and part 2 explored The Many Moods of Babies. In today’s segment, we’ll discuss infant cues as we look back at Learning and Creating Your Baby’s Special Language. In Learning and Creating Your Baby’s Special Language, we introduced infant cues and talked about how caregivers can learn to recognize their babies' unique cues. We talked about the two main types of cues that babies use: engagement (meaning they are ready to interact and play) and disengagement (when they need something changed in their environment) and included “what you’ll see” and “what you can do” for each type of cue. Then, in a post entitled: Happiness is No surprise: Why babies love repetition, we shared some tips for interacting with your baby when he shows you cues that he wants to interact and play. Later, we followed up by sharing how communication with your baby changes as he gets older during a 2-part series on how babies learn to talk. Guest blogger, Taryn Barrette, shared a new study that showed how mothers’ brains change in response to “baby talk” and how the repetitive, higher-pitched “motherese” draws babies’ attention and helps with infant speech and emotional development. Even newborns can give engagement and disengagement cues, but remember, a newborn’s cues can be misleading or confusing during the first 6 weeks. The good news: with practice, babies get better and better at giving cues when caregivers respond appropriately. 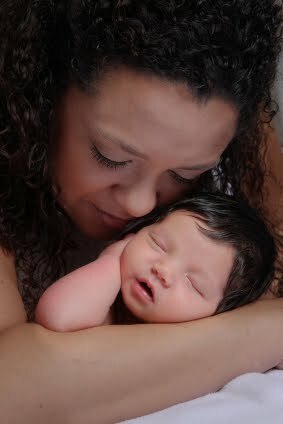 Learn more about how newborns use reflexes to communicate their needs here. Today is part 2 in a series that takes us back to the basics of Baby Behavior. As we revisit the first series of posts that we wrote in July 2009, we’ve added links to related posts that we've shared since those early days. Part 1 in this series explained the Reasons Why Babies Don't Sleep through the Night. Today's post will explore the Many Moods of Babies. In the original post The Many Moods of Babies, we introduced the topic of infant states (or moods) and talked about the 4 different states that babies move in and out of when they are awake: Drowsy, Quiet Alert, Irritable and Crying. We explained how to tell when your baby is in each of these states and shared what you can do to keep your baby comfortable a nd happy no matter what state she’s in. Since we’ve written the above post, we’ve added more details about the quiet alert state and how babies in this state love to learn and interact with you. Keep in mind, all of this learning is hard work for babies! We’ll talk more about the importance of giving babies breaks in the next post which will focus on cues. Because some of us had personal experience with babies that hated to be in the drowsy state, we wrote a post that explained why some babies hate being drowsy and provided tips for keeping those babies as happy as possible. As those first months went by, we talked about other things that can influence how your baby tolerates being in certain states in a series about infant temperament. We explored the different elements of an infant's temperament, such as adaptability (how quickly babies’ adjust to new experiences) and intensity (the strength of babies’ emotions when dealing with the world around them), all of which help form an infant’s unique personality. Then we gave suggestions on how to handle all types of babies’ temperaments and talked about the importance of understanding the differences between your own personality and your baby’s in a post titled: Babies with Personality! How Temperament Influences Babies' Relationships. We hope we’ve helped you understand your babies’ many moods (and personality) a little better. Remember, babies aren’t really mysterious once you know the Secrets of Baby Behavior. Now that you’ve reviewed the basics about infant states and temperaments, what other questions do you have about understanding your baby? Today, we start a 4-part series that takes us back to the basics of baby behavior as we revisit the first series that started this blog back in June 2009. The 4-part series included: 3 Reasons Why Babies Don’t Sleep through Night, the Many Moods of Babies, Learning and Creating Your Baby’s Special Language, and Crying: Your Baby’s Super Power. As our readership grows and new topics emerge, we strive to continue to help parents understand why babies behave the way they do and to share tools to help moms and dads cope with the ups and downs of starting a new family. Remember, babies are born with the skills and desire to communicate with you! Let’s start with the first Basics post: 3 Reasons Why Babies Don’t Sleep through Night. Infant sleep has been one of the most popular (and controversial) topics on our blog. Because our readers had so much interest in infant sleep and the fact that there is so much conflicting information on this topic, we shared a 4-part series on The Science of Infant Sleep that helped parents understand how their babies' sleep patterns change as babies get older. Since we've written these early posts, we stepped into some controversy by writing about why we don’t like "sleep training" systems for babies . On a lighter note, we provided tips for helping parents with nap time and explained why babies might wake up when they are older even if they've been sleeping for longer stretches. I shared my own personal sleep story in the series: Thoughts from a Sleep Deprived Mom. We also shared an alarming report about the use of cough and cold medicines to treat “sleep problems” in infants. Last but not least, we provided an explanation of the findings of a well publicized study about nighttime waking and babies' risk for childhood obesity. 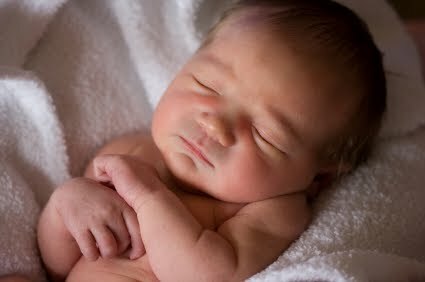 We hope that we have covered everything you might have wanted to know about how babies sleep. If not, please let us know!